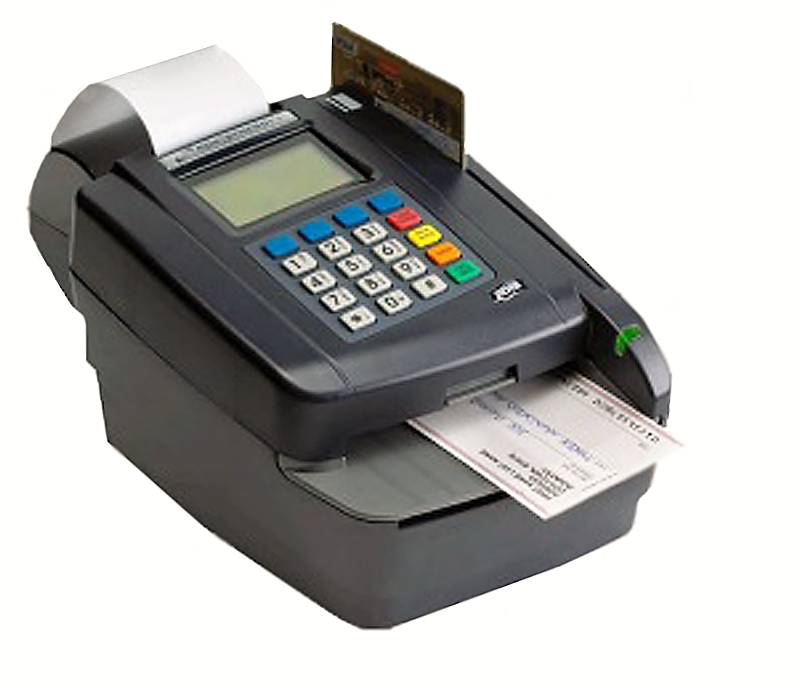 The CR-190i check transport can help financial institutions, utitlities and other organizations that handle large volumes of checks improve the efficiency of payment processes and treasury management. This results in faster access to funds, reduced costs, and increased ROI. 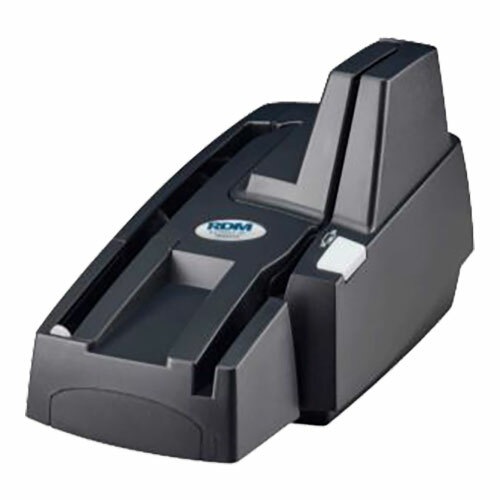 The features offered by this check transport are ideal for high-volume remittance processing, lockbox and back-office/branch capture. The CR-190i comes bundled with a Silver Bullet Ranger driver and Ranger Software Development Kit (SDK) to help ensure compatability with virtually any check processing software application. 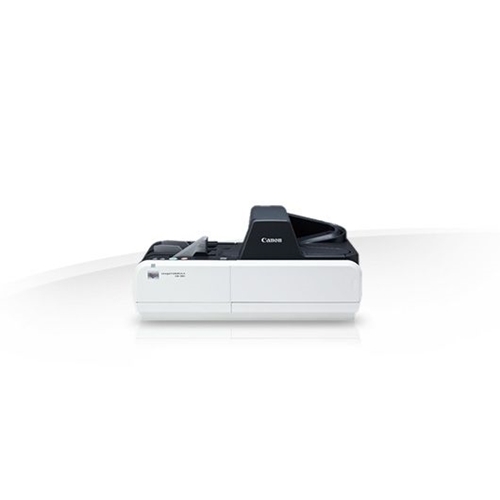 The CR-190i check transport achieves impressive speeds of up to 190 cpm, has a suggested daily volume of up to 24,000 items, and can perform realtime dynamic four-line endorsement. 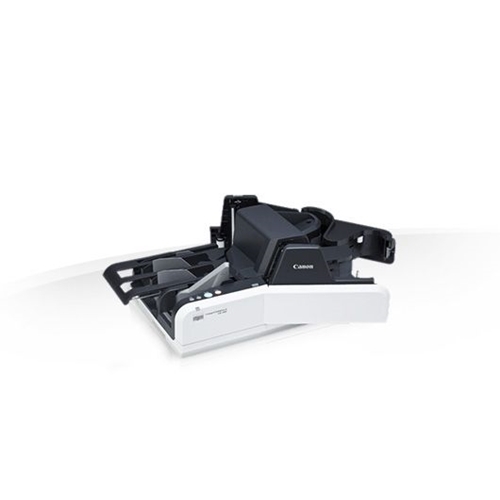 Equipped with a high-capacity, 250-item Automatic Document Feeder (ADF) capable of continuous drop-in batch scanning, the CR-190i check transport also includes two 200-item eject pockets. These can be used individually or virtually combined - with output items "waterfalling" or alternating between each physical pocket - for increased capacity. These eject pockets are supplemented with an additional 50-item pocket for three-way sorting capability. The CR-190i check transport's countertop size and easy-access design allow it to fit into even the busiest environments. 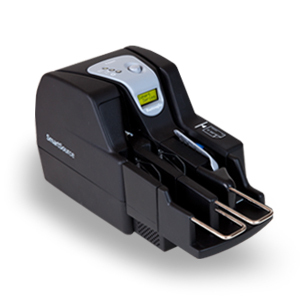 Durable materials, enclosed mechanics, and an easy-access paper path make it simple and risk-free to perform basic maintenance tasks, such as changing the imprinter's ink cartridge, clearing jams, and cleaning the scanning glass. Physical dimensions 8.4 x 18.7 x 10.7"
ADF Feeder Paper Size Width. 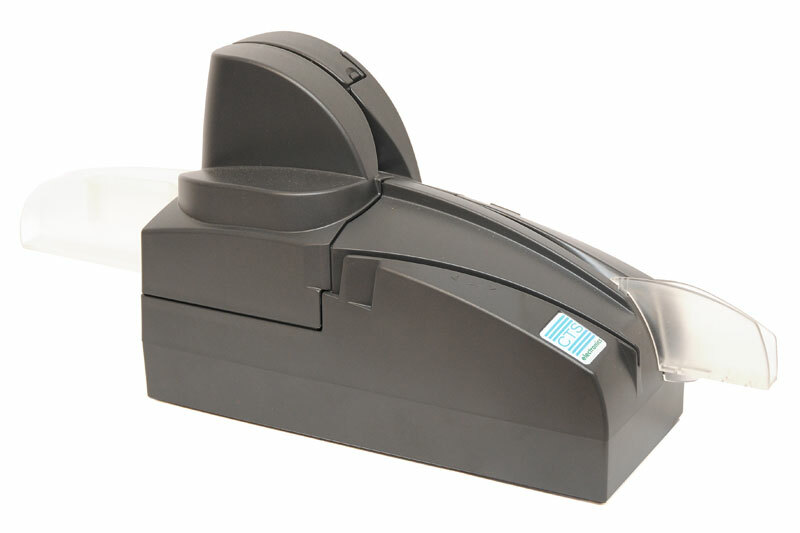 2.7 x 4.3 "
ADF Feeder Paper Size Length 4.7 x 9.6 "
High speed scanning - The CR-190i can scan up to 190 checks per minute. 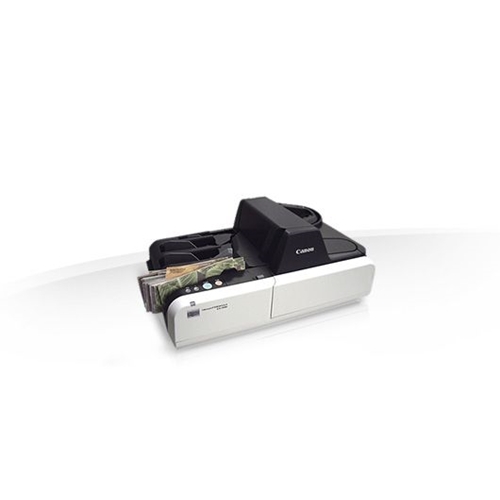 Versatile document handling - The CR-190i can handle items such as business and personal checks, rebate check cards (and other thicker documents), deposit and withdrawal slips, coupons, tickets, envelopes. 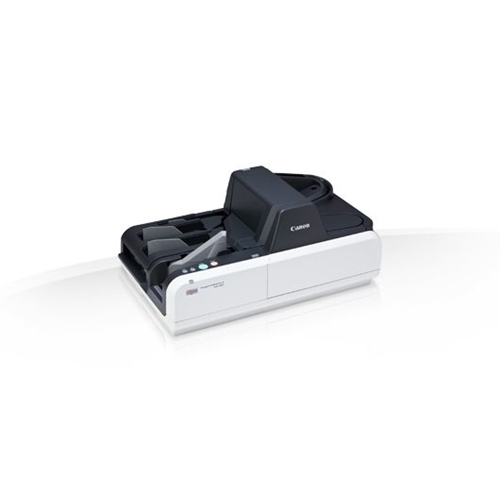 Ultrasonic Double Feed Detection - with this feature the CR-190i is capable of more accurately monitor documents for double feeds to ensure scanning dependability.